Do you want to buy your dream home? Do you have a home to sell, and want top dollar for your investment? 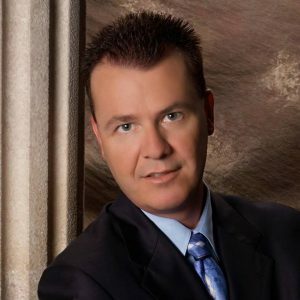 We are Las Vegas and Henderson Nevada’s top real estate firm for customer satisfaction. If you are a seller, getting the highest return on your investment is essential, and as Las Vegas and Henderson Nevada’s #1 real estate firm for customer satisfaction, we can help you reach your goals. Let us help you ensure your future and financial investment by helping you get the rewards you are entitled to. If you are a buyer, our services can help you locate the property that is best for you and we will guide you through the buying process with confidence and service unequal to other agents. We care about those we work with, and we want to help you find the home that is best for you and your family in Henderson Nevada. Henderson Nevada, and Las Vegas, are thriving real estate markets. You need an expert to guide you through the maze of choices, and to market your home in a professional way that produces results. We know Henderson. We know Las Vegas. We are have a proven track record, with over 1000 homes sold since 2001. Zillow users also agree! Shannon Fitzpatrick is an excellent resource in Las Vegas and Henderson, Nevada. See the 5-star reviews. 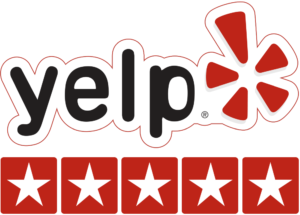 Yelp Users agree! Shannon Fitzpatrick is an excellent resource in Henderson, Nevada. See the 5-star reviews. As a top producing real estate firm in Las Vegas and Henderson NV, with thousands of home sales under our belt, we can make the home selling process not only profitable, but also enjoyable. When it comes to selling your home it is very important to make sure that you’re getting the highest return you can possibly get on your investment. For most homeowners making the decision to sell your home, which is usually your largest financial investment, is one not to be taken lightly. It involves a lot of careful preparation, many hours of work, and if not done correctly can lead to weeks or months of stress. We are experts when it comes to understanding every aspect of the sales process including the strategic marketing of your home, how to properly showcase your home, and most importantly making certain that all of your documents are in order so that your closing goes as smooth as possible. If you are considering selling your home, let us here at Movoto Real Estate make sure it gets done right! We look forward to helping you sell your home quickly and efficiently, but most importantly helping you get all that your home is worth. Call us at (702) 769-3080 and let’s start getting you the return on your investment you deserve. Buying a home is one of the biggest and most exciting ventures you will undertake in your lifetime. It can also be a very confusing and costly one if you do not understand all of the ins and outs of the home buying process. That’s why it is extremely important to make sure that you are well educated before you make that leap into home ownership. Here at Movoto Real Estate our goal is to help home buyers and sellers in the Las Vegas and Henderson NV area make smart choices when it comes to their real estate transactions. With years of real estate experience and thousands of homes sold, we can save you time and money, while at the same time make your home buying experience more enjoyable and less stressful. Whether you’re a a first time buyer searching for your dream home, looking for that next real estate investment to add to your portfolio, or looking to make the most money possible on the sale of your home why not let the professionals help you make the best decision possible. We are here to help you every step of the way! If you would like us to help you find find your dream home or if you have any questions regarding the home buying process at all feel free to call us anytime or fill out the contact form on the right and someone will contact you as soon as possible to help you with any and all of your real estate needs. Trying to find your home’s value by using a websearch will likely yield out of date date or conflicting information. Let us give you up to date comparative information, with no obligation or charge. Contact our office and we will give you up to date comparative information to help you determine exactly what your home might be worth. There is no cost, and no obligation. We enjoy helping people discover the real value of your home. Find your new home right here on our webpage! Call our sales team at (702) 769-3080 to arrange a showing. We want to help you find the home of your dreams. I want to help you buy or sell your home in Las Vegas and Henderson, Nevada. 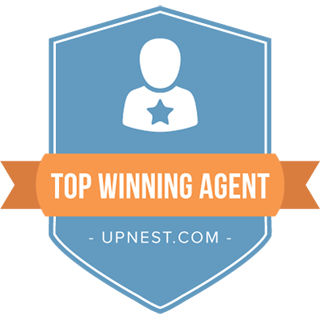 I am a proven sales expert, and a caring professional who can guide you in your home purchase. Contact me now.